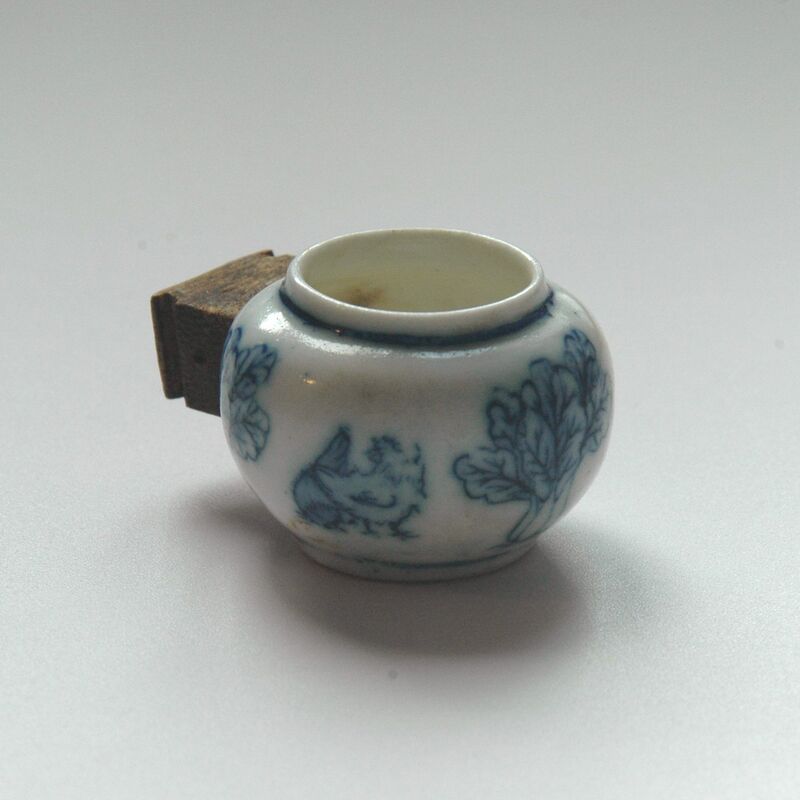 This tiny blue and white porcelain bowl is used for feeding the pet bird, the wooden detail on the side make it able to be attached to the bamboo bird cage (click to see). The traditional bird feed includes; millet, crushed corn, peanut, sorghum, fruits, sunflower seed, perilla seed, mazi, foxtail millet. I have 9 different Bird Feed Bowls and was wondering what they sale for. If you can contact me with any information I would greatly appreciate it. Hallo, is it possible for you to send a cage to Germany? I am looking for a good cage,circa 36 cms diameter. Do you have some and how much are they,please. unfortunately our largest bird cage is only DIA270XH470mm.